I wrote this REVIEW of the 1931 melodrama, "OTHER MEN'S WOMEN". 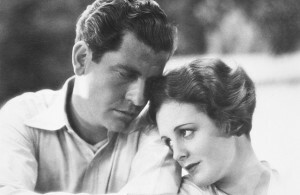 Directed by William Wellman, the movie starred Grant Withers, Mary Astor and Regis Toomey. Murders in the Zoo is a 1933 Paramount horror film that is neither supernatural horror nor an Old Dark House movie. In fact you could argue that it’s closer in feel to some of the delightfully lurid tropical melodramas of that era like Kongo and White Woman. I Cover the Waterfront is a lurid newspaper melodrama released by United Artists in 1933. And it delivers the goods. I wrote this REVIEW of "MOROCCO", the 1930 adaptation of "Amy Jolly", Benno Vigny's 1927 novel. 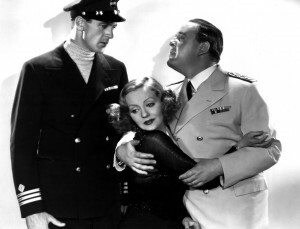 Directed by Josef von Sternberg, the movie starred Gary Cooper, Marlene Dietrich and Adolphe Menjou. Here is a GALLERY featuring images from "MOROCCO", the 1930 adaptation of "Amy Jolly", Benno Vigny's 1927 novel. 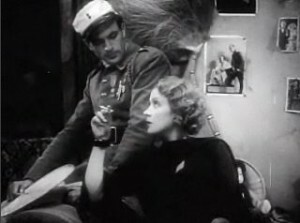 Directed by Josef von Sternberg, the movie starred Gary Cooper, Marlene Dietrich and Adolphe Menjou. I wrote this REVIEW of "THE THIN MAN", the 1934 adaptation of Dashiell Hammett's novel, released during the same year. Directed by W.S. 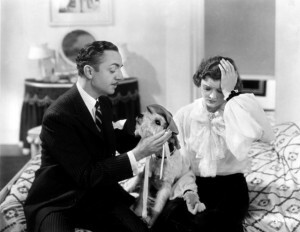 "Woody" Van Dyke, the movie starred William Powell and Myrna Loy as Nick and Nora Charles. I wrote this REVIEW of "DEVIL AND THE DEEP", the 1932 adaptation of Maurice Larrouy's novel, "Sirenes et Tritons". Directed by Marion Gering, the movie starred Tallulah Bankhead, Gary Cooper and Charles Laughton. His Private Secretary is a 1933 romantic comedy starring John Wayne. Which is not such an outrageous idea - Wayne was always quite adept at light comedy. His Private Secretary is bright and breezy and reasonably entertaining. The pre-code era gave birth to a whole sub-genre of outrageous lust in the jungle melodramas in tropical settings. Kongo (1932) may have been the most outrageous of them all but when it comes to pure unadulterated sleaze Paramount’s 1933 offering White Woman is hard to beat. The Gay Divorcee was not the first pairing of Fred Astaire and Ginger Rogers but it was the film that really put them on the map and established the classic formula that would make them RKO’s biggest stars.